It’s widely recognized that the greenery and herbs we buy in stores are “wrong” and would never replace the plants we planted in our home gardens. However, we frequently lack time to love and care about our indoor vegetables, or the plants do not appreciate our efforts. 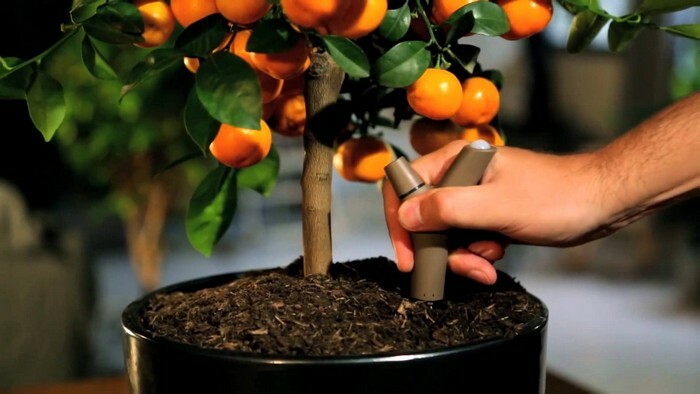 Fortunately, modern inventors are ready to supply us with several versatile gadgets, which will assume all our responsibilities for plant care. Let’s take a closer look! 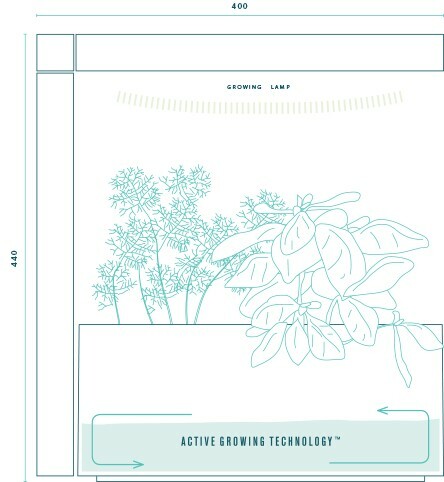 Click & Grow is an incredibly stylish home station for growing herbs, fruits and flowers inspired by NASA’s groundwork. 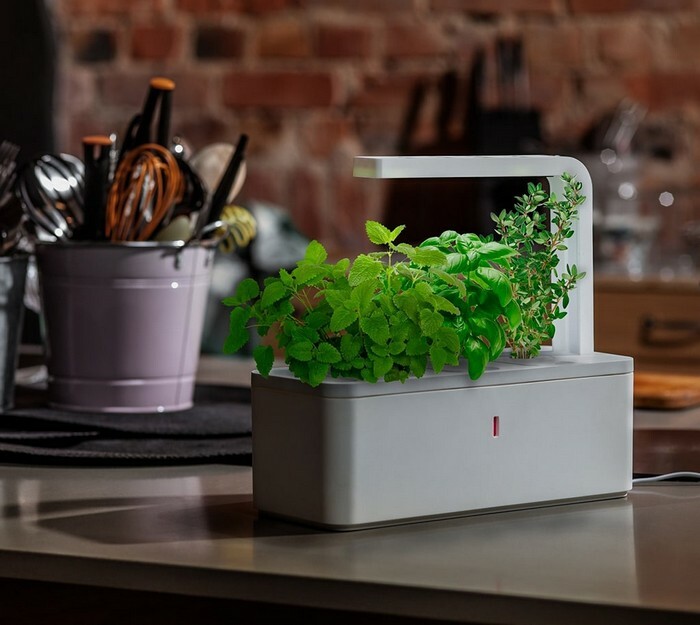 It’s hard to believe it, but this small box is ready to give the plants everything they need: a special LED lamp with spectrum lighting, a light control, a tank with monthly water reserve, and even a “smart” soil system, which releases nutrients and fertilizers gradually and without your effort. Plenty of built-in sensors make sure that your herb is feeling well. The standard kit comes with 3 complementary basil refills. And on the manufacturer’s official Web-site plenty of other seeds are available: from tomatoes and herbs to strawberry and spruce! 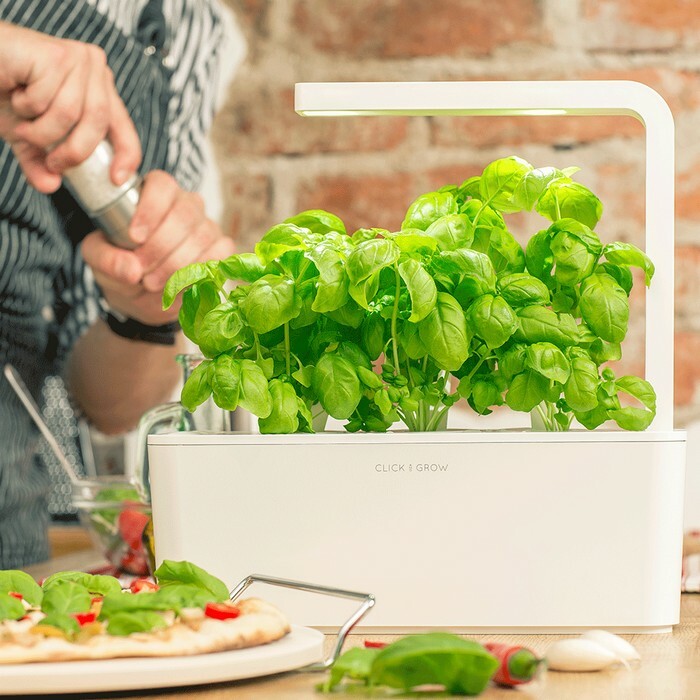 Click & Grow is fully automatic – you just plug it in and it takes care of the plants by itself! 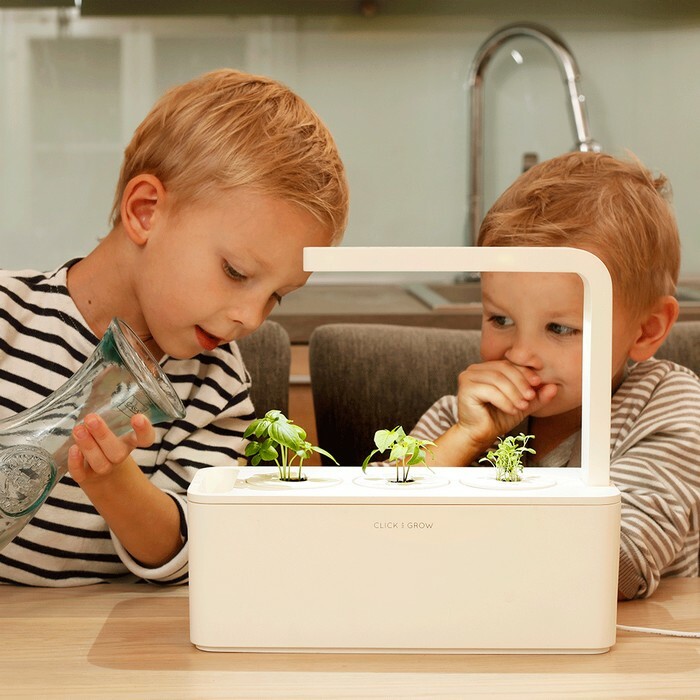 Smart gardens designed by Mikael Ericsson and Sebastian Jansson are nicknamed Herbie Indoor Garden and Genie Kitchen Garden respectively. Both devices operate on hydroponics technology – the method, which enables to grow plants without soil: the built-in Active Growing Technology provides water solvent filled with oxygen and nutrients to the roots of the plants, and soil is not required. So, it’s actually a water pump, which pumps water through a special nutritious layer. The device is not 100% automatic: it requires about 15 minutes of maintenance per month, including changing and adding water and nutrients. 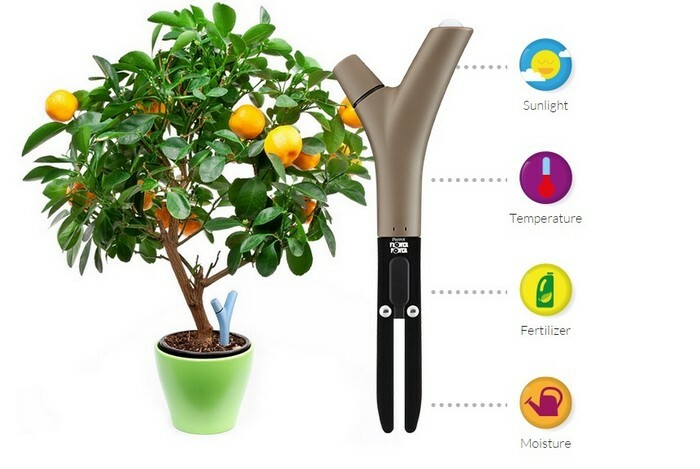 This lovely twig-shaped device is actually a true plant-rescuer and a hi-tech sensor, which takes care of your plant’s health by monitoring 4 vital parameters: sunlight, temperature, fertilizer and moisture. Should any of these characteristics deviate from the norm, the Flower Power will send a signal to your phone via Bluetooth. 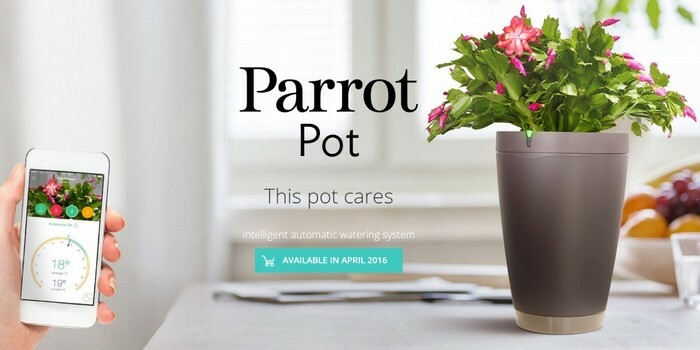 The same Parrot Company produces smart pots, which not only have the same abilities as a “twig”, but also can water soil as it dries out. 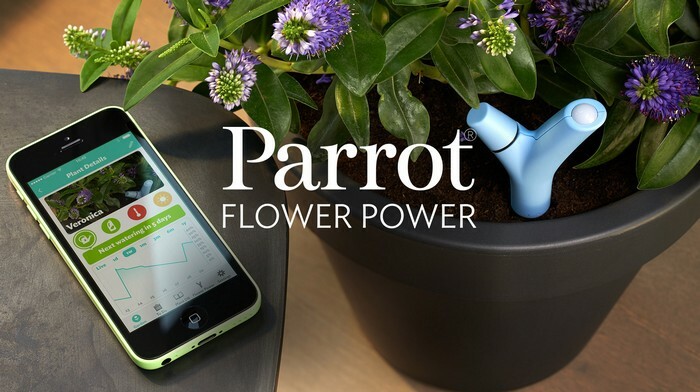 One more amazing start-up project offers you not just an automatic “smart” flower pot, but also emotional contact with your plant. This makes sense, if you think about it. As you may see, many companies encourage us to buy a smart pot and forget about taking care of the plant. 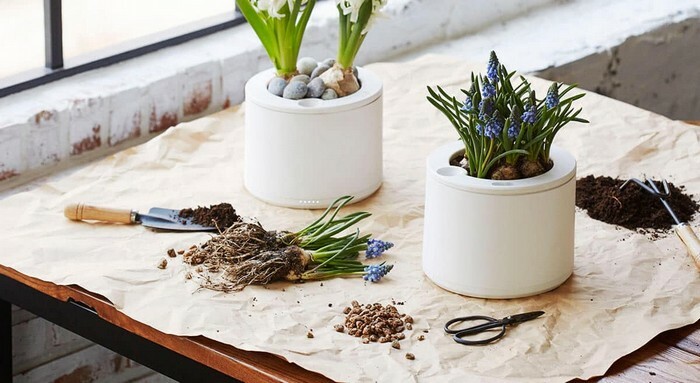 It seems a little bit controversial – why have a plant if we should forget about it? 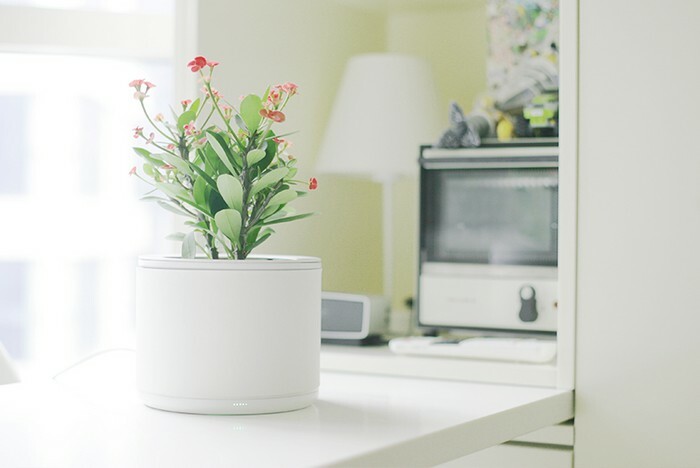 Planty is a device which wouldn’t let you relax J If your flower is getting cold or needs some water, it will write you a message asking to bring the herb to a warmer place or pour some water. The technology is also based on sensors, which record moisture, light and temperature. A similar gadget is offered by Botanicalls Company. 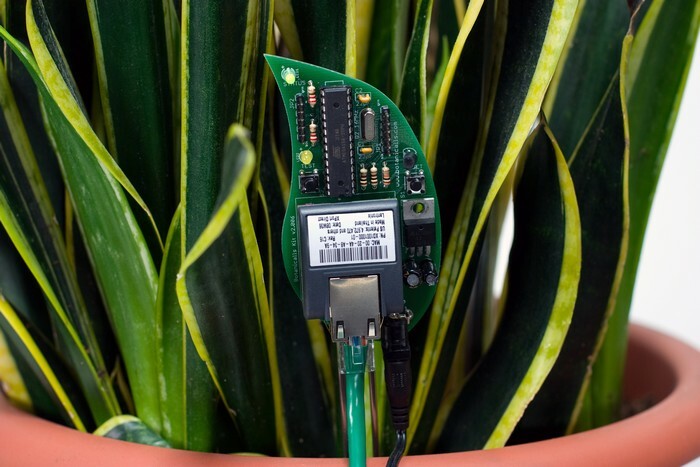 Just one microchip will let you “talk” to your plants via Twitter or a mobile phone app.